No matter how hard you work to keep a garden or outdoor area looking its best, a change of weather can easily scatter debris and dirt around and leave you with another job to do. Having the right tool can put the power back in your hands, and here at SGS Engineering we have a wide range of powerful electric leaf blowers from renowned garden power tool brands that will help you quickly clear away the mess. Choosing the right one for you will depend on the space and setting that you’re working in, but with the option of a rechargeable leaf blower or a corded two-in-one blower and vacuum, we’re confident that you’ll be able to find an electric leaf blower that will make this job a breeze. Either option will keep working for long periods too. Go for a rechargeable option and even if you don’t have a power supply nearby, you can simply swap out a flat battery for a freshly charged one. Whether you’re a professional gardener, builder or newcomer to garden tools, SGS has a variety of electric leaf blowers to suit whatever outdoor project you’re working on. We only partner with brands we trust, and by choosing an electric leaf blower from Ryobi you’re guaranteed to receive a high-quality product. 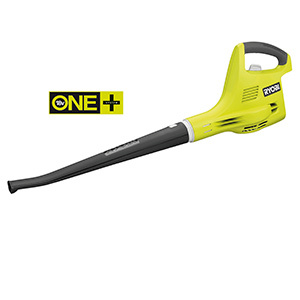 The Ryobi RBV3000CSV Corded Blower Vacuum gives you two tools for the price of one, allowing you to quickly and easily switch between blower and vacuum functions; both of which are backed up by a powerful multi-speed motor. Its robust metal blade makes sure vacuum material is chopped finely and composes easily, while its adjustable shoulder strap can help you balance its weight when working for extended periods of time. If you’d prefer to avoid using a power cable, the Ryobi ONE+ OBL1820S 18V Cordless 245km/h Blower will give you freedom to move around while still giving you the power you need to blow away mess. Whichever you choose, all of our electric leaf blowers are available to buy online and come with a three-year warranty and no quibble 60-day returns, showing our confidence in the products we offer. In need of advice? 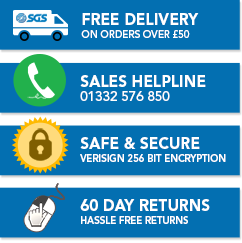 Speak to the SGS team! Whether you’re a seasoned gardener or a newcomer to power tools, with so much choice available, it can be difficult to know which leaf blower is the best tool to tackle your task. You could be sweeping away fallen debris in autumn to keep your lawn healthy or clearing dirt from a jobsite to maintain high quality working standards – either way, we can help you make the right choice, first time. We test every one of our products, so if you’d like to know more about their features or get more general advice, you can get in touch by filling out a contact form, dropping us an email or giving us a call. Get in touch today and our friendly and expert team will be happy to help! Picking out the right tools for any job is easier with the right knowledge and advice, which is why at SGS we’ve created a series of handy how-to’s and in-depth buying guides to help you get the job done. With petrol, electric and battery options, the leaf blower is a powerful time and effort-saving tool that comes in many shapes and forms. Get help choosing the right one for your project. A lawn mower has its limits, and there are times when a strimmer is the only tool for the job. Find out how to use one to get the best results.